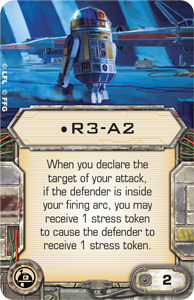 WAVE VII - NEWS !!! 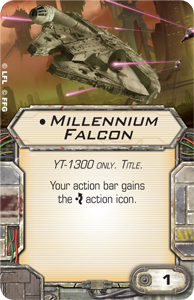 ONLY !!! 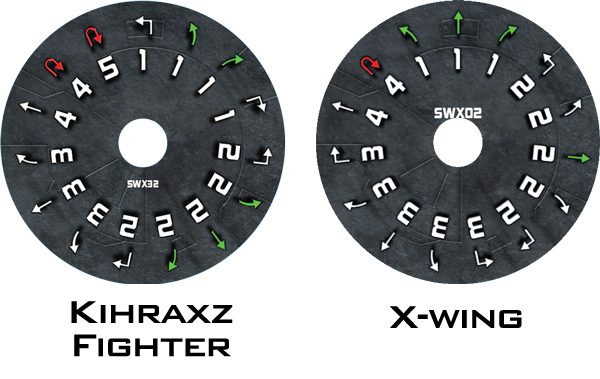 Was wird es wohl werden???? 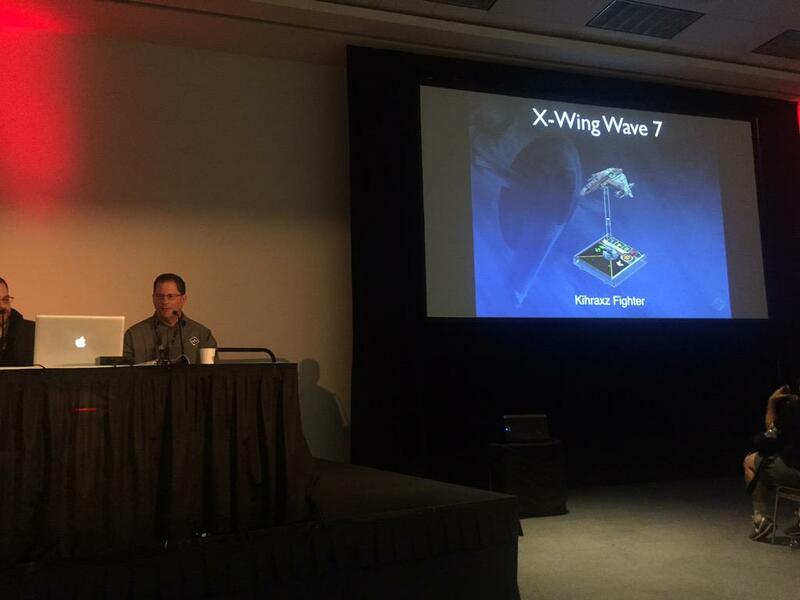 Re: WAVE VII - NEWS !!! 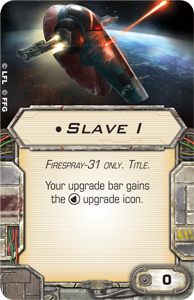 ONLY !!! 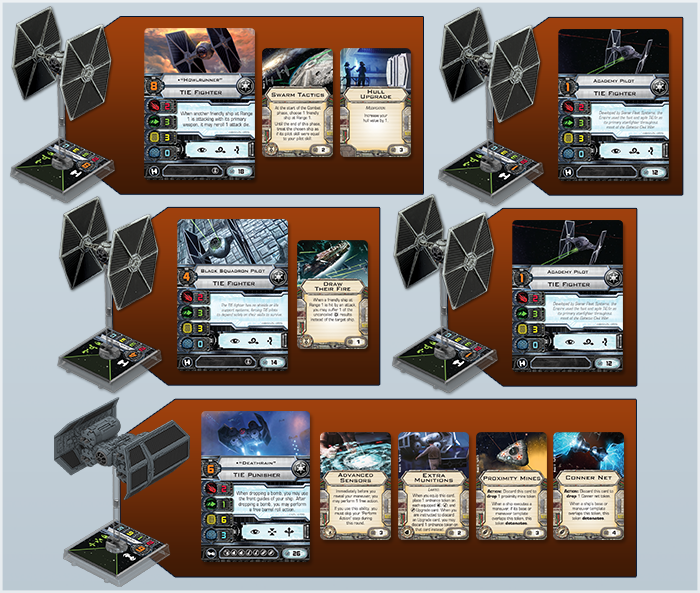 Quelle: https://www.facebook.com/TalesoaTS die es von https://www.facebook.com/mywargame haben. 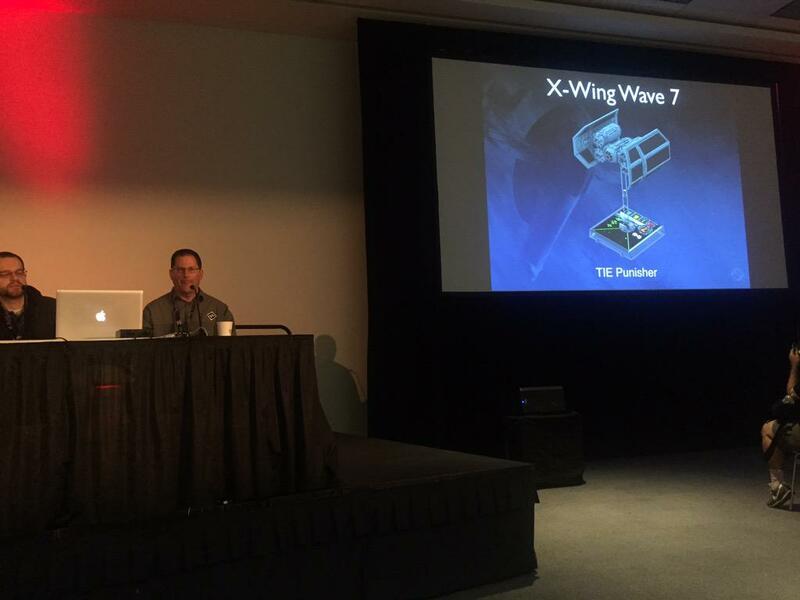 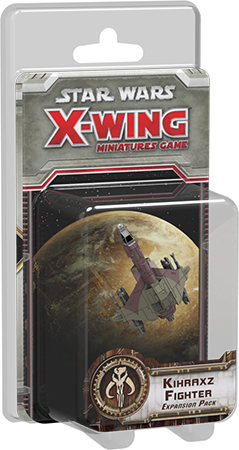 These four Wave VII expansion packs are scheduled to arrive at retailers in the second quarter of 2015. 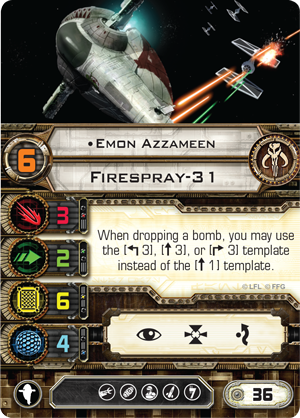 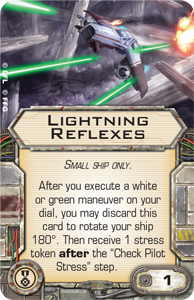 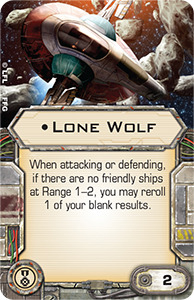 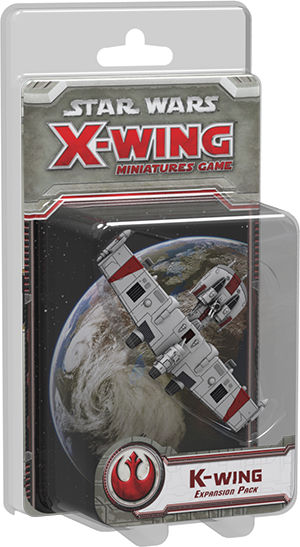 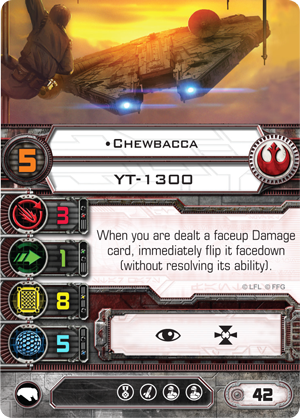 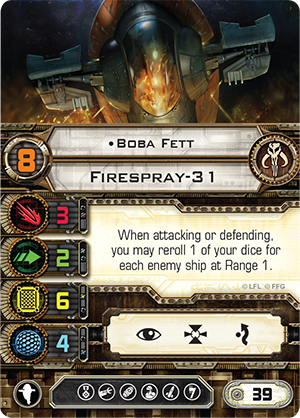 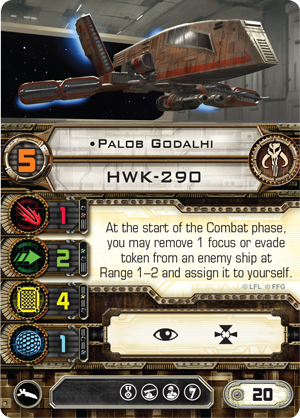 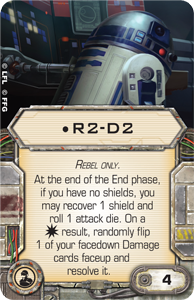 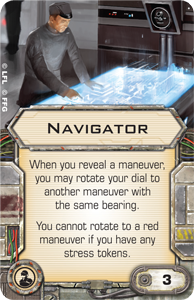 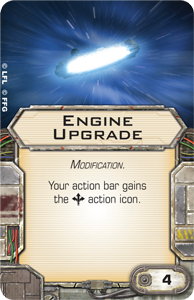 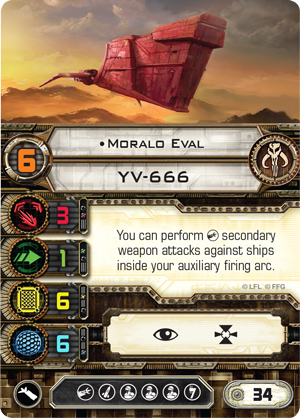 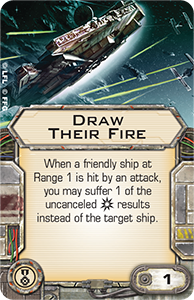 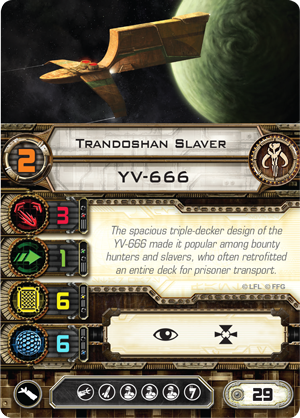 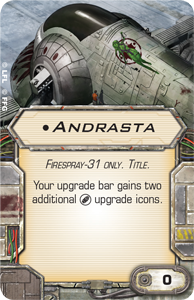 Until then, keep your eyes on our website for more previews and other X-Wing News! 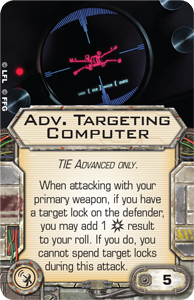 Of course, the best part of such a line of questioning may be that all those options are viable. 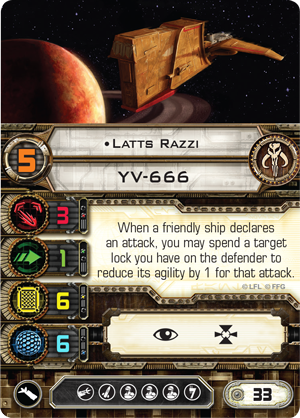 With all of its possible upgrades, the YV-666 is a highly versatile starship that can easily be adapted to a range of roles within your fleet. 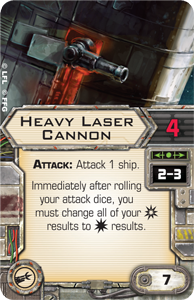 You can outfit it with a Heavy Laser Cannon to fire at range, supporting the rest of your ships as they race ahead into close range combat. 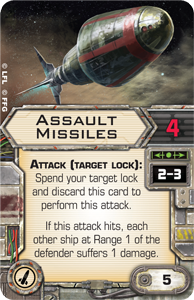 You can load it with Assault Missiles to break up enemy formations. 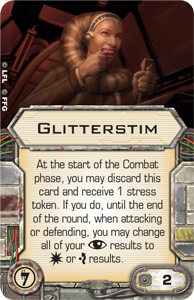 And you can keep your opponent guessing by taking advantage of the Scum faction's illicit tech and substances, like Glitterstim. 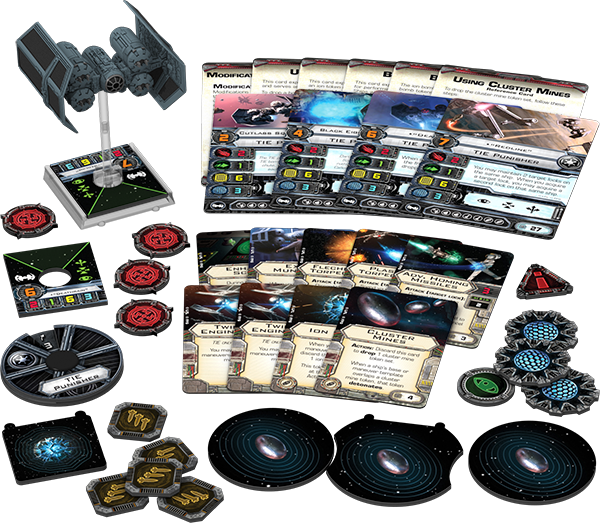 All three factions are represented in the game's seventh wave of expansion packs, although the galaxy's Scum and Villainy receive half of its ships. 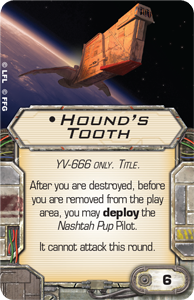 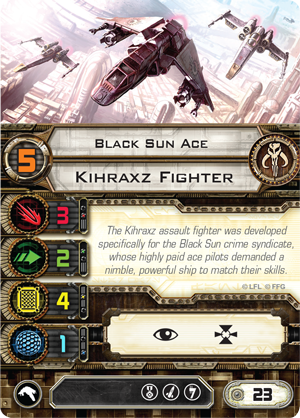 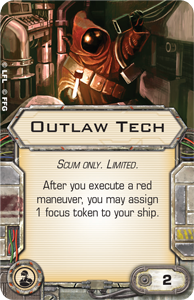 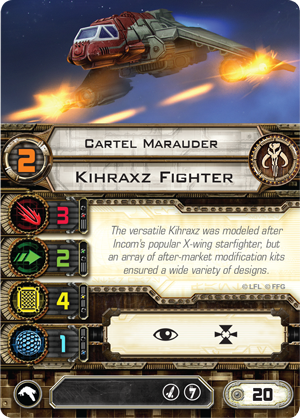 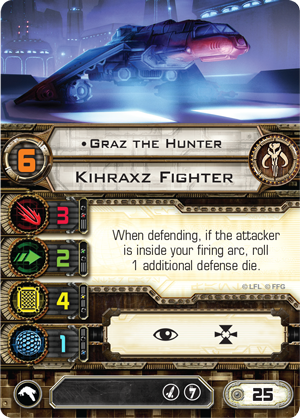 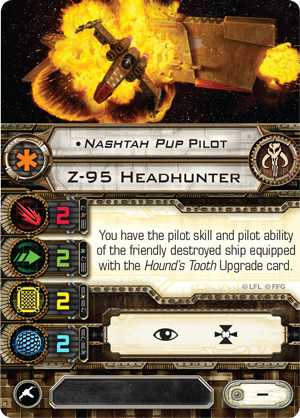 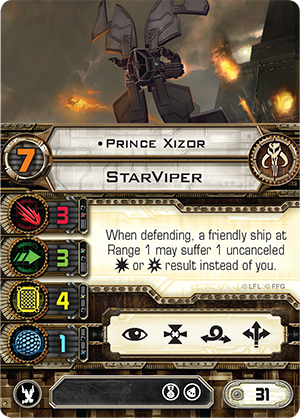 Accordingly, we focused on the Scum faction with our first two Wave VII previews, looking at what it gains from the Hound's Tooth Expansion Pack and the Kihraxz Fighter Expansion Pack. 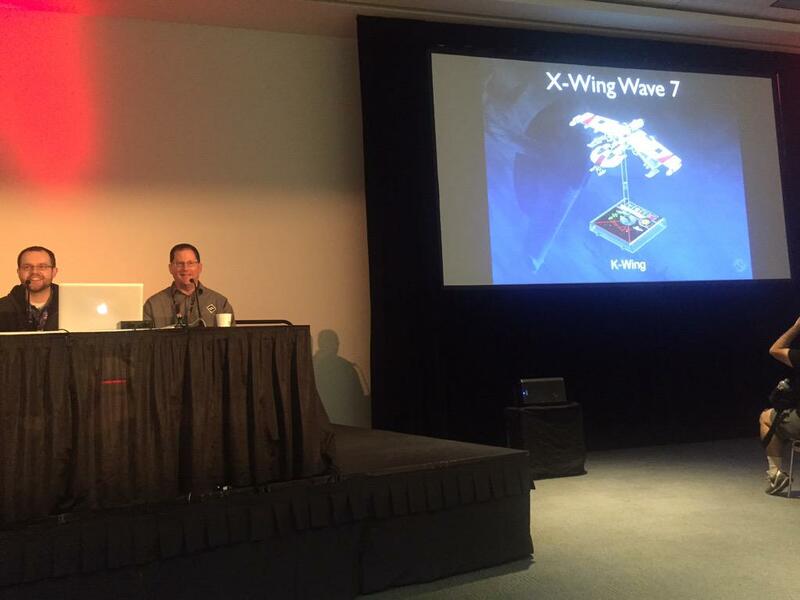 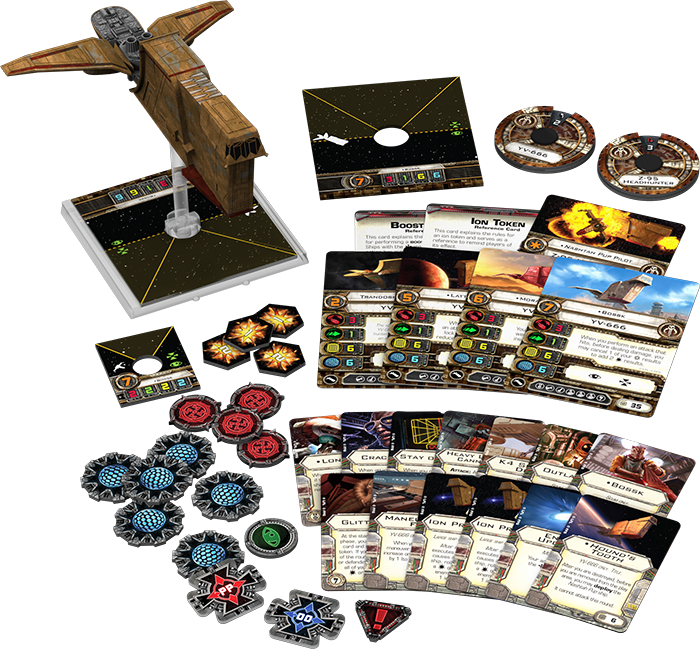 Nonethless, while those two expansion packs may represent half of the ships introduced to the game in Wave VII, they represent only one-third of the wave's total impact. 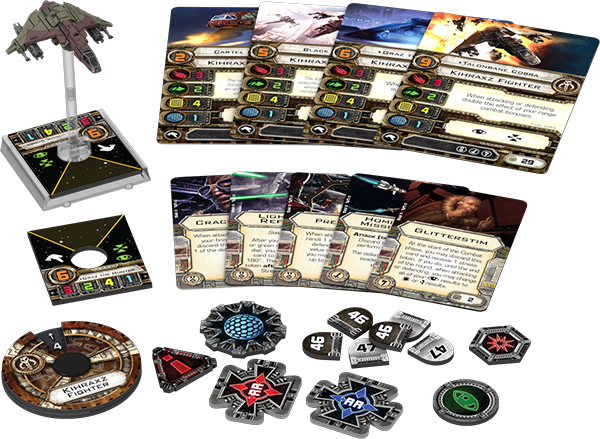 All three factions are impacted, and the new expansions for the Rebels and Imperials are arguably more likely to push the ever-evolving metagame in new directions. 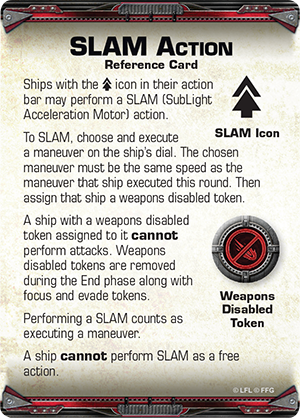 It's true that you can't perform attacks on a turn that you SLAM, but if you're equipped with the Advanced SLAM modification, you can take an action to drop your Proximity Mines. 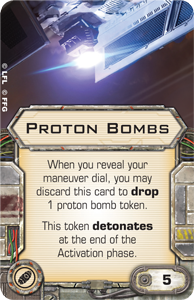 Also, because your SLAM counts as a full maneuver, it allows you to drop your Proton Bombs in the middle of your activation, right before you execute your SLAM. 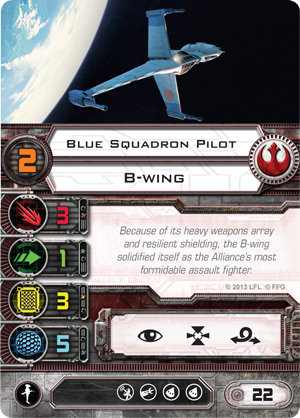 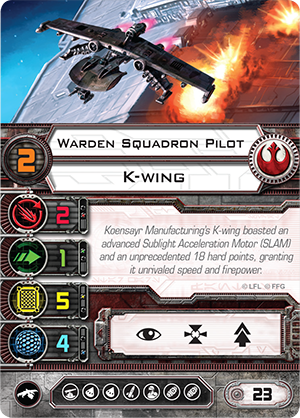 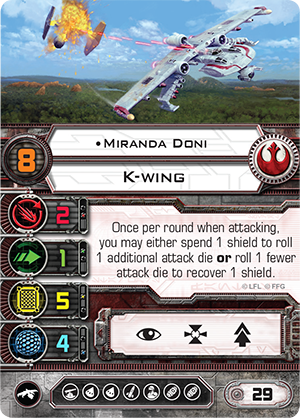 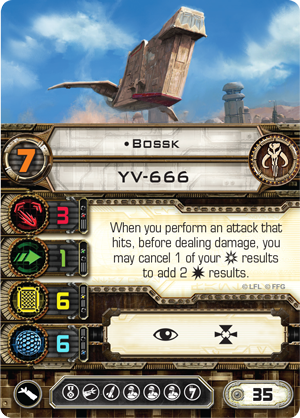 Moreover, since the K-wing features a crew upgrade slot, you could add a Navigator or Bombardier to gain even finer control over your bombs, making your K-wing the high-speed precision bomber in the game that it is in the Star Wars universe. 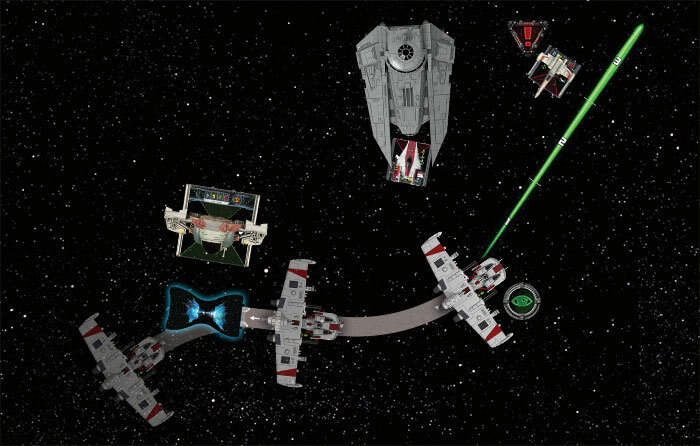 The K-wing races past an Imperial squadron, dropping Seismic Charges in front of a half-dozen TIEs. 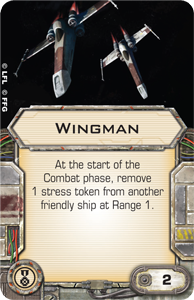 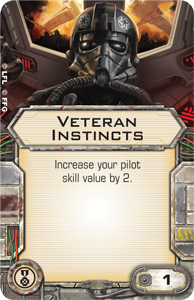 If you're planning to use your K-wing primarily to deliver ordnance, you might want to a closer look at Esege Tuketu and his unique pilot ability as it greatly mitigates the SLAM action's opportuity cost. 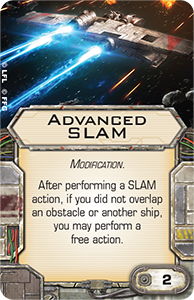 Equipped with the Advanced SLAM modification, Esege Tuketu can execute his maneuver, SLAM to execute another maneuver, dropping a bomb as he reveals his dial, and then use his action to focus. 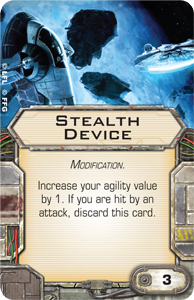 Since he can't attack, he doesn't need the focus token to modify his attack. 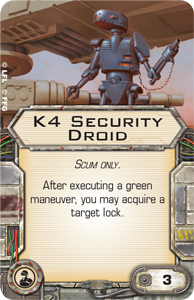 Neither can he make very good use of it on defense since he has just one defense die. 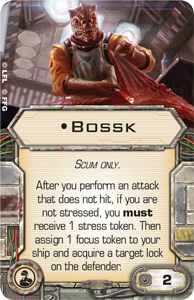 However, that focus token may make a world of difference for one of Esege Tuketu's wingmates. 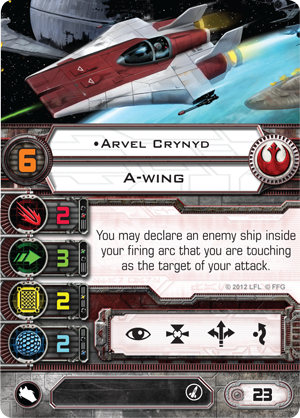 Perhaps Arvel Crynyd can make use of it after crashing into an enemy ship. 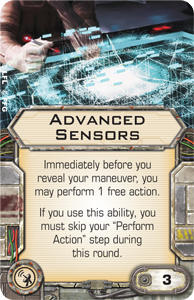 Perhaps Garven Dreis can use it and pass it along after performing a Koiogran-turn. 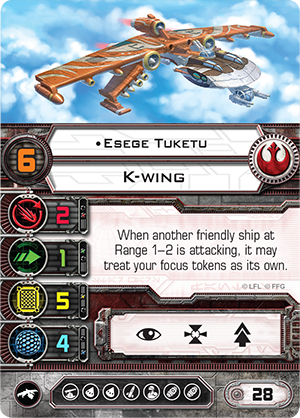 Either way, it's worth noting that Esege Tuketu doesn't need to transfer his token to anyone; you just decide to have a friendly ship within range make use of it when the need arises. 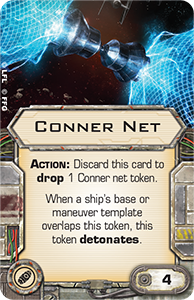 Here we see how Esege Tuketu can maneuver, drop his Conner Net in the path of an oncoming Firespray-31, SLAM away, and use the action granted by his Advanced SLAM upgrade to focus. 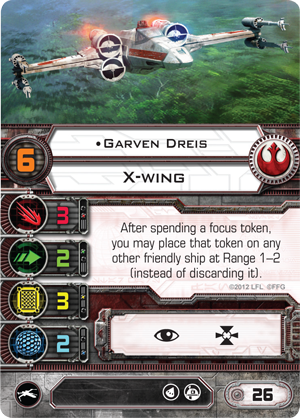 Meanwhile, Garvin Dreis executes a Koiogran-turn maneuver, knowing that he can spend Esege Tuketu's focus token and then pass it on to Arvel Crynyd, who slams into the path of a VT-49 Decimater, blocking its flight path. 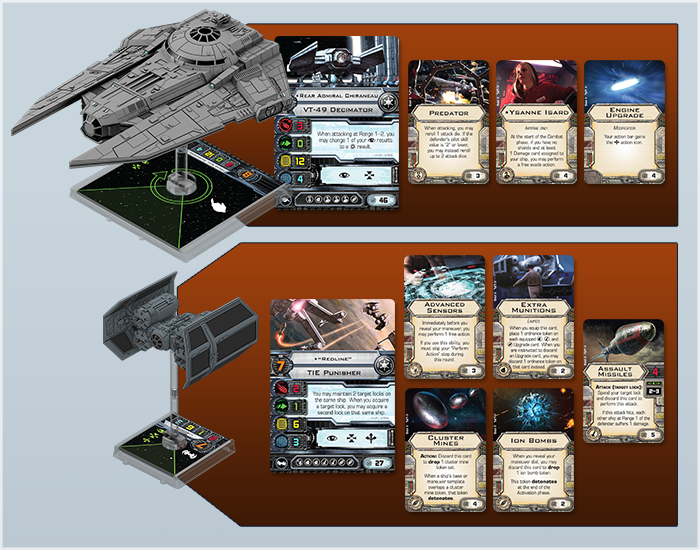 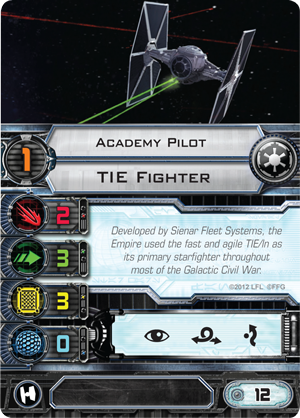 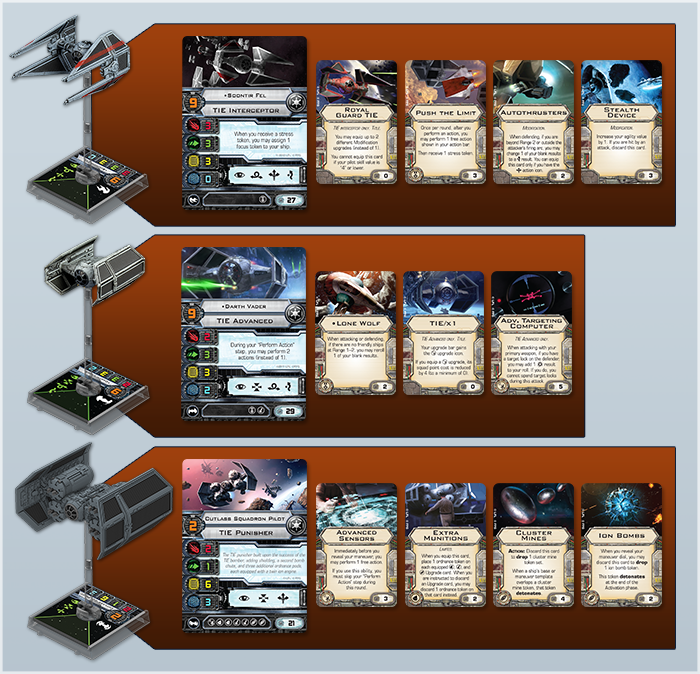 X-Wing™ Wave VII is on its way, and today we continue our previews with a look at the Imperial Navy's TIE Punisher Expansion Pack! 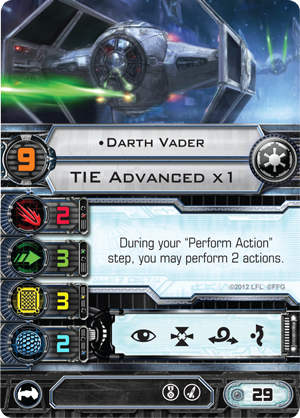 One of several advanced TIE-series variants developed in the wake of the Rebellion's stunning victory at Yavin, the TIE punisher was designed for use as a heavy bomber during missions in which the Empire needed to deliver massive payloads to places that Star Destroyers could not venture. 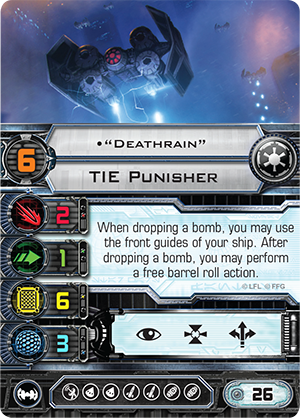 Based on the spaceframe of the standard TIE/sa bomber, the TIE punisher can carry almost four times as much ordnance. 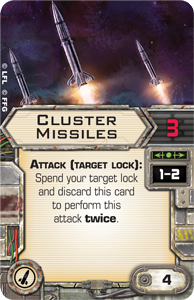 Advanced weapons and shield systems add accuracy and resilience, ensuring that the Empire's investment in the TIE punisher's munitions aren't squandered, and the bomber more than proved its worth during the Galactic Civil War by enduring withering enemy fire to deliver their huge payloads on target. 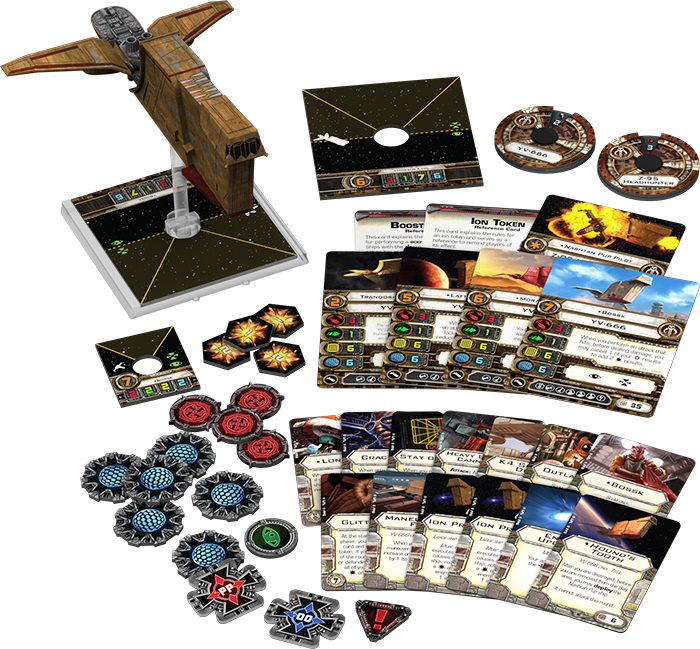 Similarly, in X-Wing, the TIE punisher boasts the shields, hull, and upgrade slots it needs to arm and deliver the sort of payloads that may soon make the ship an integral part of many Imperial strategies. 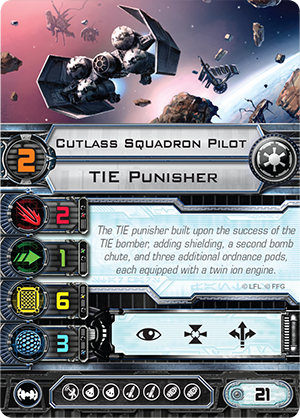 A 360-degree view of the TIE punisher. 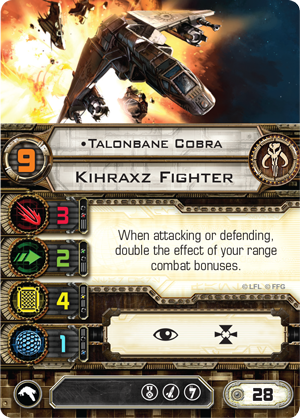 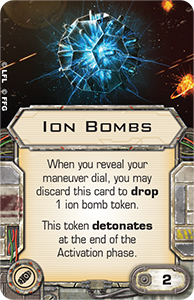 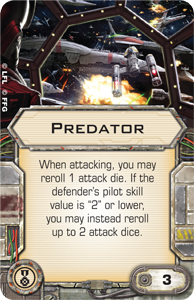 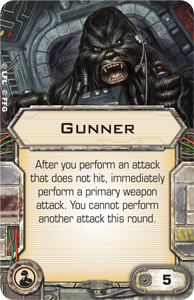 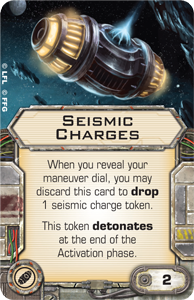 In last week's preview of the Rebellion's K-wing Expansion Pack, we discussed how the game's different ordnance are increasingly becoming powerful wild cards in the ever-evolving X-Wing metagame, and if there are any Imperial squad leaders looking to take advantage of the rising value of munitions, they'll do well to consider incorporating the TIE punisher into their squads. 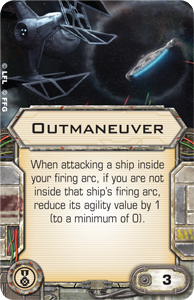 After all, it can carry a wider array of ordnance than any other ship currently in the game. 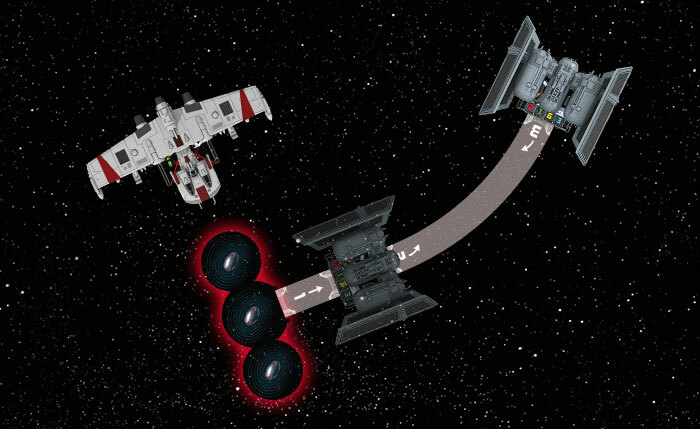 The TIE punisher's fully loaded upgrade bar boasts two torpedo slots, two missile slots, and two bomb slots. 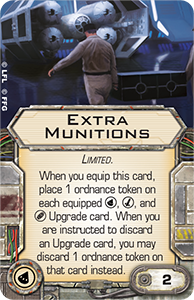 Of course, as already noted, if you decide to invest significantly in your TIE punisher's munitions, you need it to deliver. 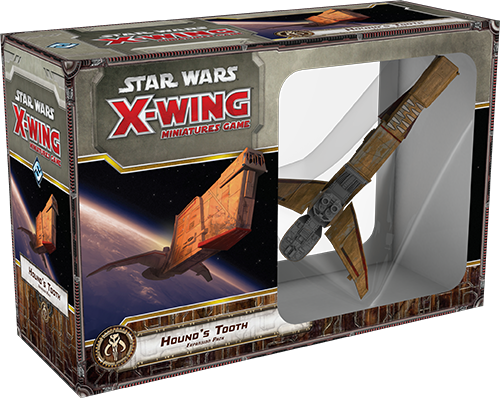 Fortunately, the ship also excels in this regard, featuring a sturdy measure of three shields and six hull. 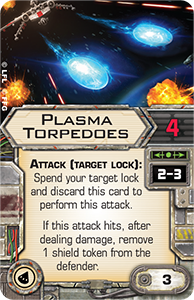 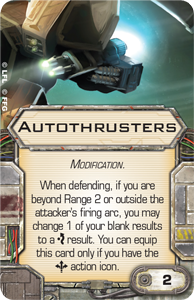 It also comes with an inherent boost action, meaning that you could equip it with Autothrusters , offering it another measure of defense against the tough turret ships you'd likely want it to obliterate. 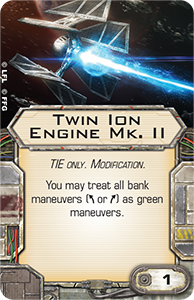 Still, unless you're playing with one of the expansion's two ace pilots and their higher pilot skill values, it's not as likely you'd equip Autothrusters as the Twin Ion Engine Mk. 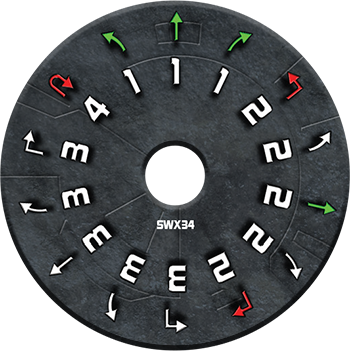 II modification, which would convert the ship's two- and three-speed bank maneuvers from white to green, adding valuable options to its admittedly limited maneuver dial. 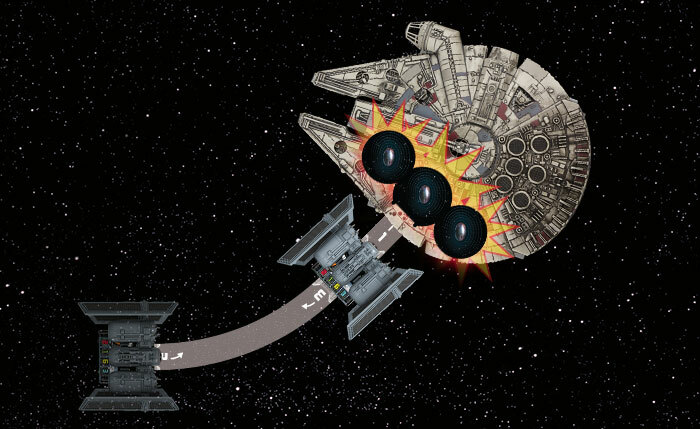 Meanwhile, the TIE punisher's focus on delivering ordnance extends well beyond its carrying capacity and defenses. 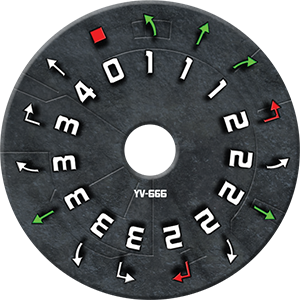 It also comes with the valuable systems upgrade slot, which you can use to further customize your punisher to excel at its designated role. 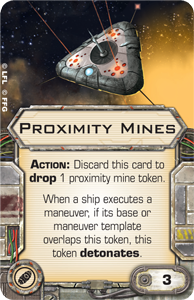 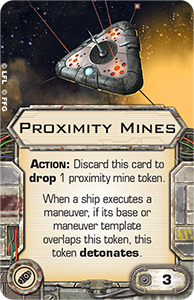 For example, if you're planning to focus on dropping Proximity Mines or the TIE punisher's new Cluster Mines , you might equip Advanced Sensors to allow you to release your bombs before you fly away. 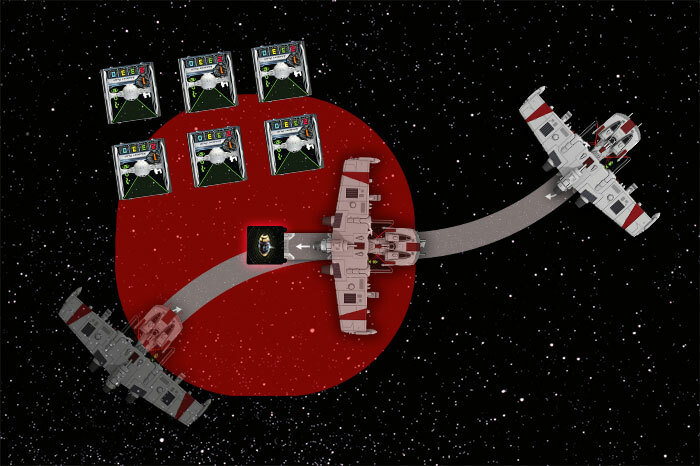 A Cutlass Squadron Pilot uses his Advanced Sensors to deploy Cluster Mines before flying away. 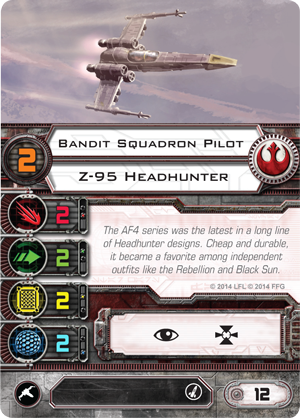 Alternatively, you might equip such a dedicated bomber with Enhanced Scopes . 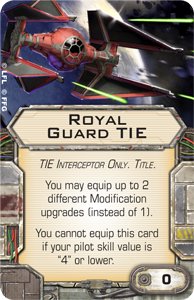 For two fewer squad points, Enhanced Scopes all but guarantees that your TIE punisher will be the first ship to execute its maneuver each round, meaning that you'll be able to plot its course across the battlefield and discharge its bombs without needing to anticipate your opponent's maneuvers. 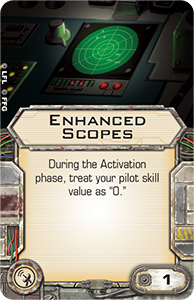 As tempting as Enhanced Scopes may be for any TIE punisher pilot, it is a uniquely effective system upgrade for "Deathrain," who can choose to deploy bombs from his ship's front guides. 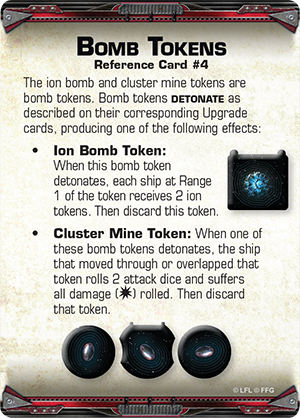 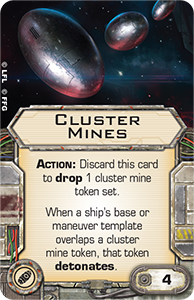 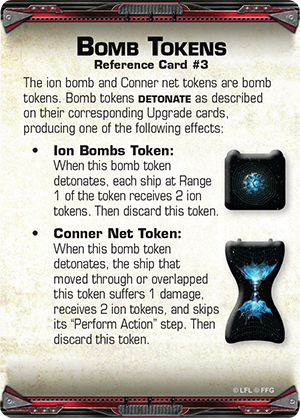 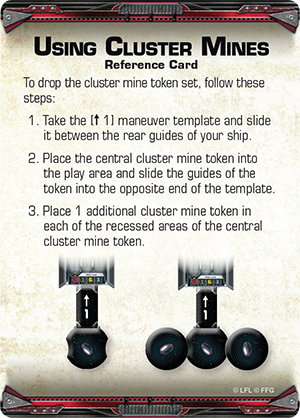 Judge his maneuver correctly, and you can easily fly right up to a ship like the Millennium Falcon to deploy and immediately explode your Cluster Mines for six attack dice against zero defense dice. 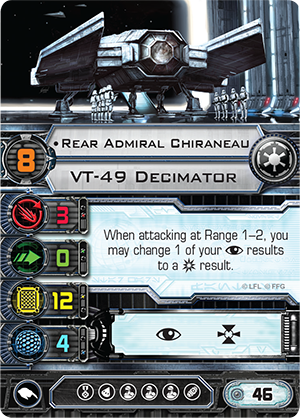 "Deathrain" uses his Enhanced Scopes to approach the Falcon and deploy his Cluster Mines before Chewbacca even has a chance to maneuver. 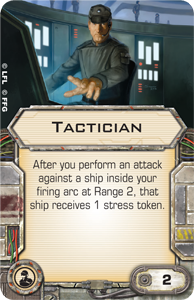 You might instead choose to focus on battering your foes with seemingly endless barrages of missile or torpedo fire, in which case you'd do well to equip a Fire-Control System . 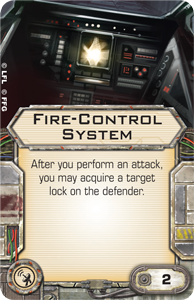 So long as your TIE punisher continues to hunt and batter the same target, your Fire-Control System will grant you free target locks, allowing you to use your action to focus or boost into firing position. 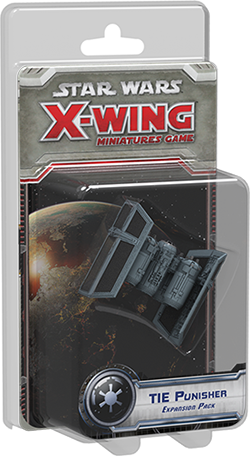 Finally, the TIE Punisher Expansion Pack, like the K-wing Expansion Pack, comes with the Extra Munitions upgrade, which adds power and efficiency to any munitions-based strategy. 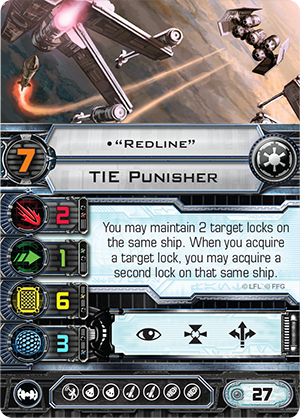 For just two squad points, the Extra Munitions upgrade allows you an extra use of each of your missile, torpedo, and bomb upgrades, meaning that it's entirely possible that a TIE punisher pilot like "Redline" would be able to attack with his secondary weapons throughout a whole game. 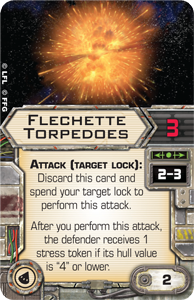 Equipped with Extra Munitions, Flechette Torpedoes , Cluster Missiles , Seismic Charges , and Fire-Control System, "Redline" flies a thirty-nine-point ship that can hit your foes for impressive damage from any range. 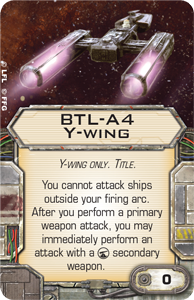 Despite their tremendous potential, bombers are some of the most difficult ships to play well in X-Wing, and you'll want to think carefully about how you'll incorporate the TIE punisher into your squad and strategy. 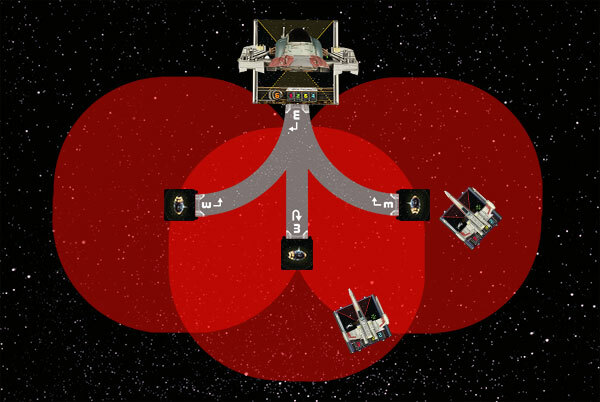 Currently, most players divide the game's ships into three different categories: "jouster," "arc-dodger," and "turret." 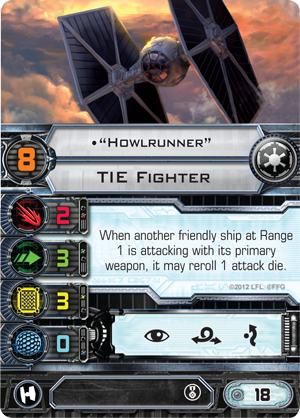 Jousters like the TIE fighter rely upon raw statistical efficiencies in attack dice, agility dice, shields, and hull to overwhelm their rivals. 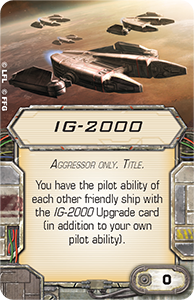 Arc-dodgers like the TIE interceptor rely upon their maneuverability and their higher pilot skill values to slip outside of other ships' firing arcs, exchanging raw stastical efficiency for the ability to get multiple shots against foes that can't claim any. 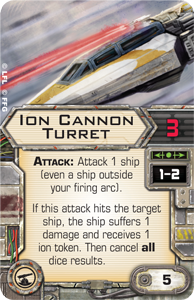 Turret ships, finally, threaten every ship within range, even those outside of their primary firing arcs. 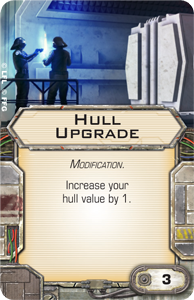 They tend to feature high shield and hull values, though they also tend toward lower agility values. 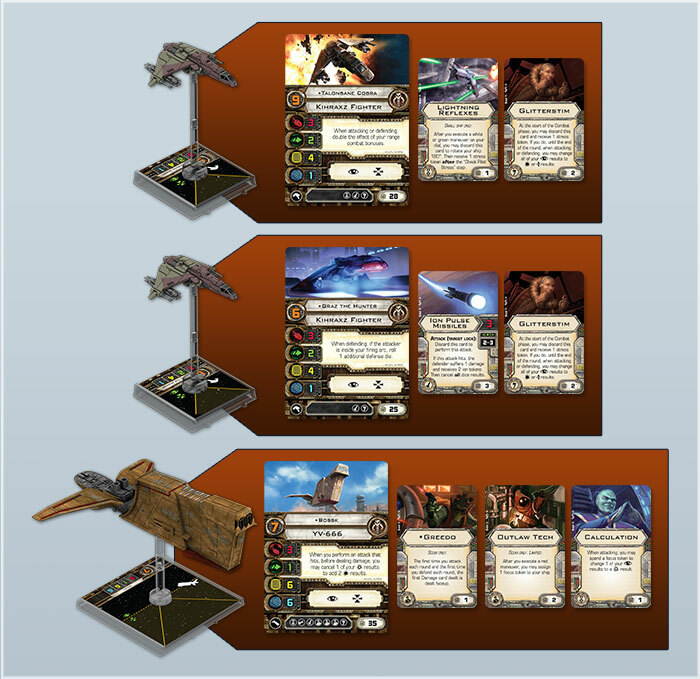 Each of these three types of ships plays as differently in practice as they do in theory, and the prevailing wisdom holds that jousters beat turrets, which beat arc-dodgers, and arc-dodgers, in turn, beat jousters. 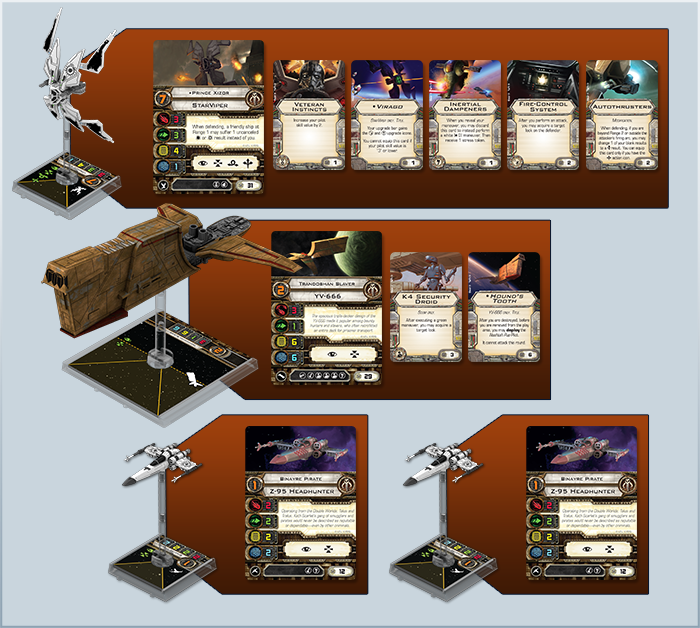 Thus, many competitive players will pair elements of the different archetypes together in order to shore up their weaknesses. 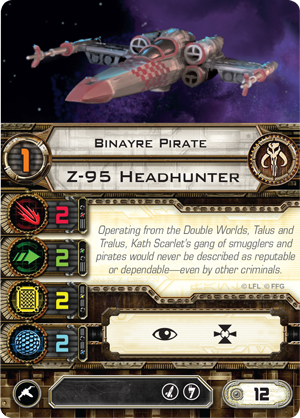 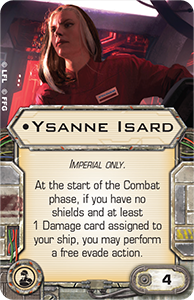 Examples include the popular partnership between Soontir Fel and Rear Admiral Chiraneau, as well as those squads that feature a mini-swarm of Z-95 Headhunters to support a fully-loaded Millennium Falcon. 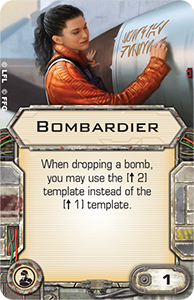 Bombers, meanwhile, don't really fit into any of the above archetypes, but the tremendous flexibility their munitions afford them allow them to partner well with any of the aforementioned archetypes. 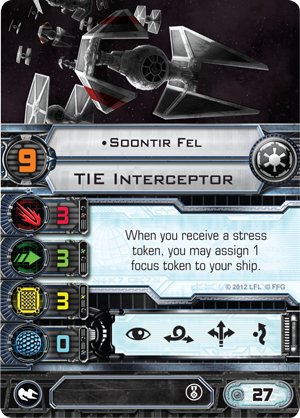 If you're flying arc-dodgers like Soontir Fel and Darth Vader , you might add a Cutlass Squadron Pilot to your squadron and outfit it with an extra helping of Cluster Mines as an efficient counter to the big turret ships that are most likely to give you trouble. 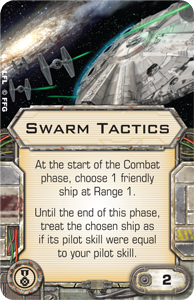 Conversely, if you ran a TIE punisher with your turret ship, you'd be able to make quick work of the swarms of jousters that would otherwise present the greatest threat. 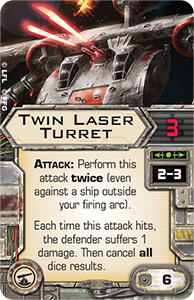 Finally, you can run a TIE punisher alongside a swarm of TIE fighters to add control of the battlefield to your raw attack power, bolstering your chances against arc-dodgers. 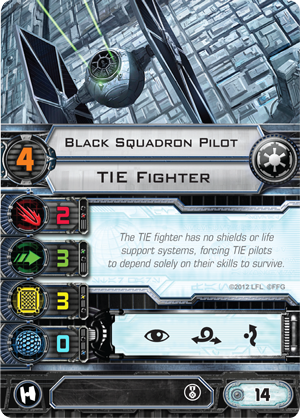 Of course, the truth is that the number of ways that you can incorporate the TIE punisher into your squadrons is limited only by your imagination, and its utility is only bound to increase as the game's arsenal of ordnance increases and the metagame continues to evolve. 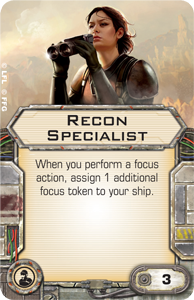 As a squad leader in the Imperial Navy, you have vast resources at your disposal, but it's your job to ensure they're all put to good use. 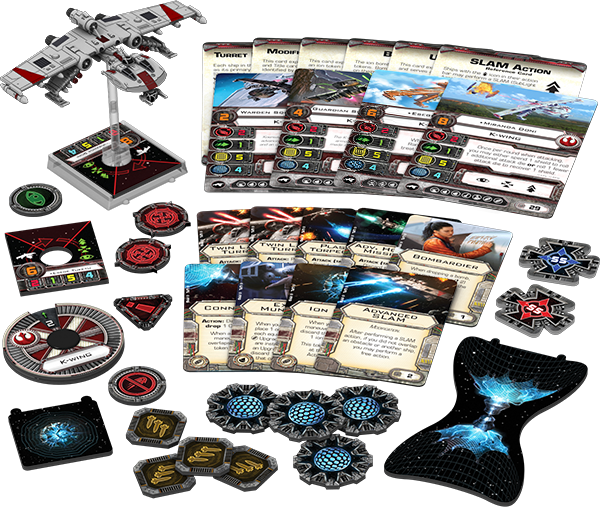 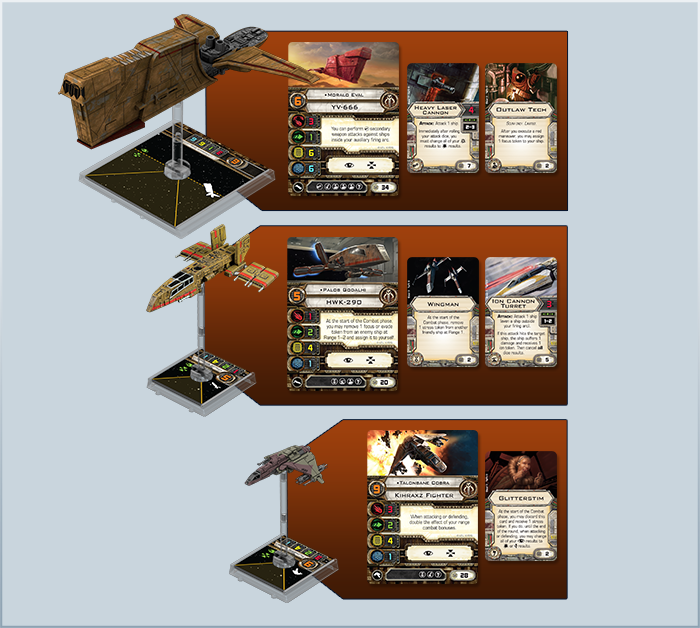 Squad building in X-Wing amid the game's constantly evolving metagame is akin to piecing together a puzzle as the target picture continues to change. 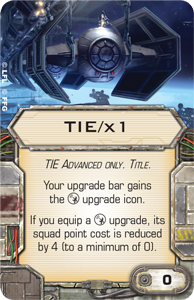 Will the TIE punisher be a part of your solution? 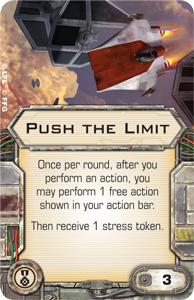 Head to our community forums now to share your thoughts on the TIE punisher, its new munitions, and its role in your future Imperial squadrons!